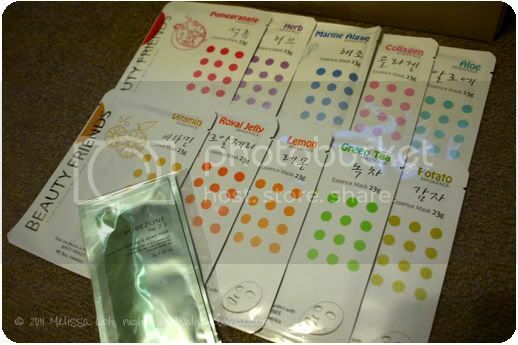 After my first foray into the paper facial mask, I went hunting on Gmarket Global for other sellers and brands. And there are heaps out there! It's a little overwhelming, but with a little time, it's not impossible to work out which is the best deal for you. 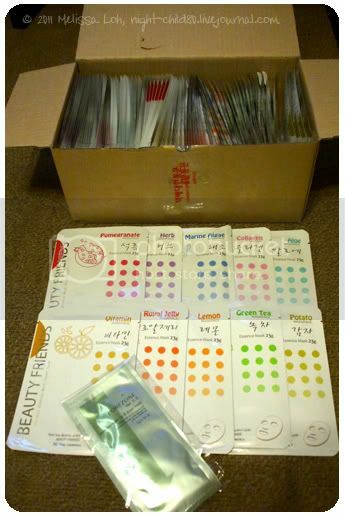 I found this seller 블루-1004 for Beauty Friends paper facial masks. The listing is for 100 sheets - 10 sheets of 10 types you get to select. I tried the vitamins one and while my skin felt really hydrated, there was a slight tackiness on my skin that I didn't feel with the Skinvitals mask I tried. It's not uncomfortable nor what might be considered sticky. Nonetheless at AUD$0.25 (includes international shipping) a sheet, this is a real bargain. Oh, and they threw in 2 satchets of Porezone ver 2.3 manager up and down mask. Yah, the name had me laughing too.